After demolishing the Warriors last weekend and maintaining their spot in the top four, the Panthers finish off a run of three straight home games with a huge clash against Cronulla this Friday night. And despite the injury problems plaguing both sides and the impact of State of Origin representation, this promises to be an exciting game and one where the two competition points will be mighty valuable. Penrith are precariously placed in fourth spot, just one win clear of the Roosters, Broncos, Warriors and Friday night’s opponent in Cronulla. One slip-up could prove disastrous, with the unexpected loss to Manly earlier this month giving the Panthers less breathing room than they would have liked. The Sharks enjoyed a bye last weekend after narrowly escaping Mount Smart Stadium with victory a fortnight ago. If you read anything into form lines, the Panthers certainly gave the Warriors a much better touch-up than Cronulla did, but that often means very little in this competition… and even less when it comes to the inconsistent Warriors. The big storyline this week has been Matt Moylan’s return to Panthers Stadium for the first time since he sensationally left the club at the end of last season. Given most fans believe Penrith got the better of the ‘swap deal’ with James Maloney, the reception for Moylan will hardly be welcoming. Cronulla have a pretty good record at Panthers Stadium and in fact have been dominant in their last few meetings at the venue, winning 28-2 last year and 26-10 in 2016. 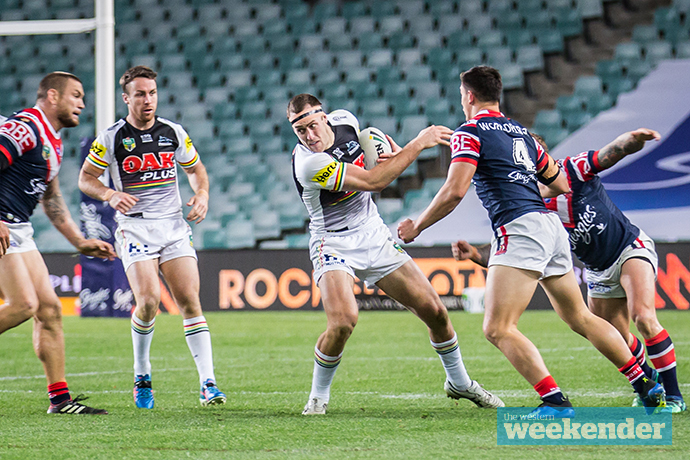 The Sharks also narrowly got past the Panthers at Southern Cross Group Stadium earlier this year. 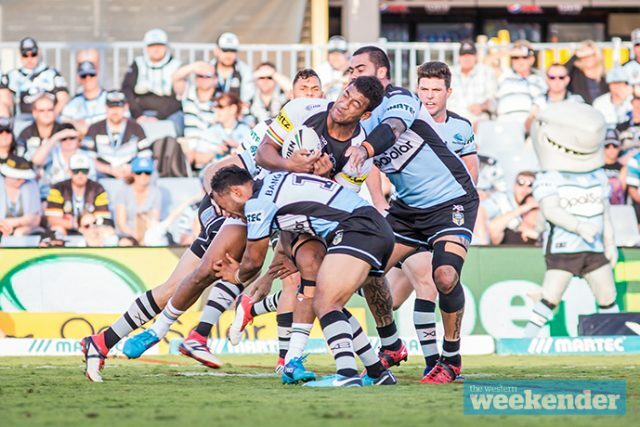 Penrith’s preparation has again been disrupted, not only with the uncertainty surrounding their Origin stars but with replacement fullback Dallin Watene-Zelezniak suffering a hamstring injury that will see him miss the next month of football. It means Penrith will field their third choice fullback against the Sharks with youngster Caleb Aekins to make his debut. 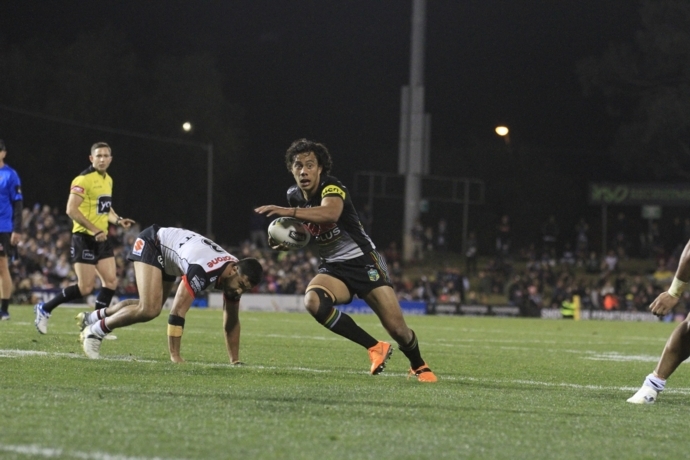 The Panthers certainly looked solid with Waqa Blake back in the centres last weekend and his partnership with Dean Whare would surely be one of the competition’s better centre pairings. If Blake can get even more ball against the Sharks he could prove very tough to handle. 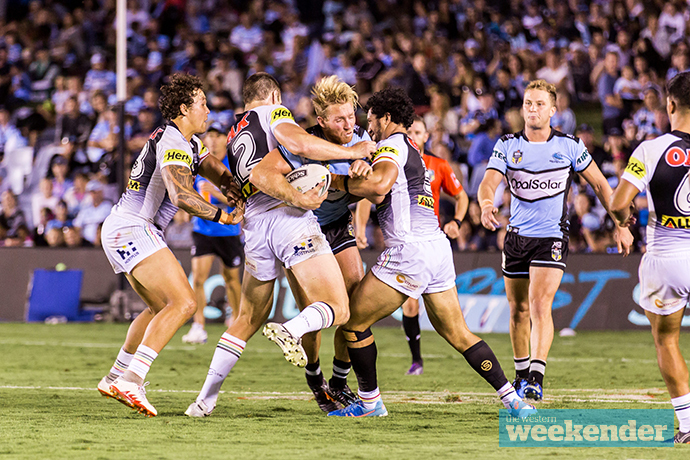 The Sharks generally concede more points than Penrith and score fewer tries, so if this match was played out on paper, the home side should get up. But with so much disruption at the foot of the Mountains during the representative period, you have to wonder if this game will just be a little too much for the patched-up Panthers. Expect Tyrone May and Jarome Luai to play in the halves as named, despite James Maloney and Nathan Cleary both being available for selection. The pair were both named on an extended Penrith bench by coach Anthony Griffin but at the time of writing were not expected to play. I’m expecting a low scoring encounter with a tight scoreline. Golden point may even be on the agenda. The Panthers and Sharks do battle at Panthers Stadium on Friday, July 13 at 6pm.